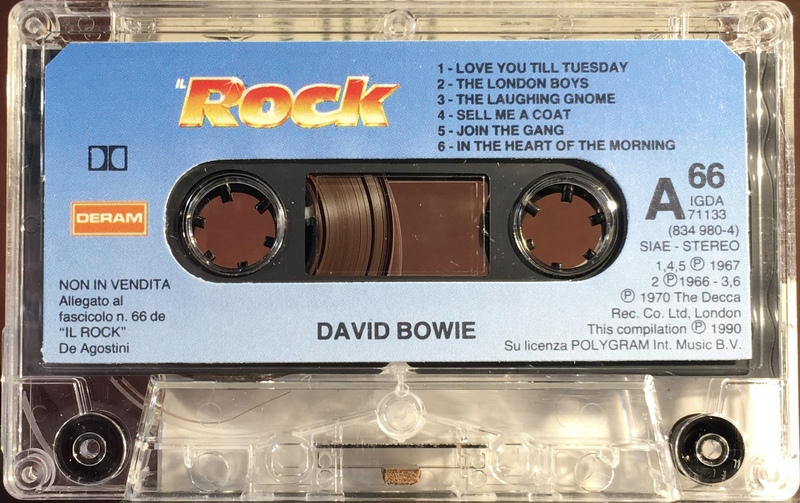 David Bowie: Italy; Decca/ De Agostini, IGDA 71133/134; 1990. 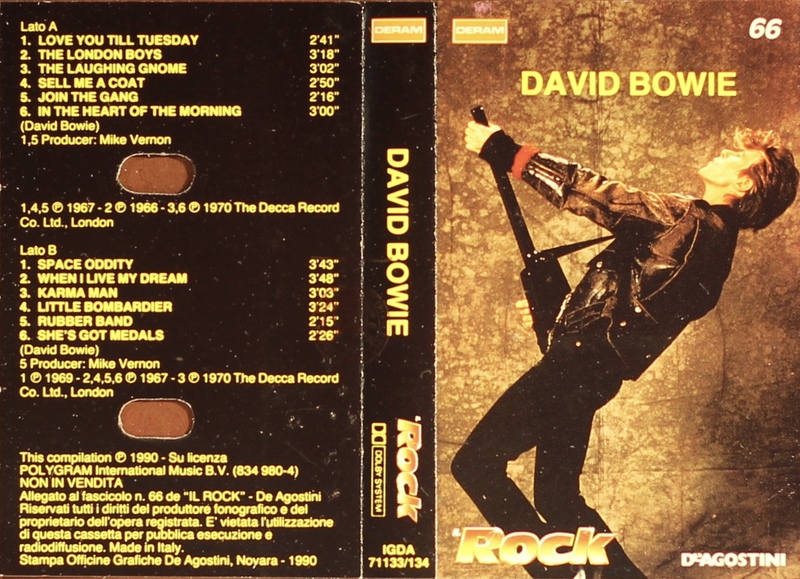 De Agostini, this is the corresponding Italian release for the Spanish 1990 ‘David Bowie’ Planeta Agostini cassette. Full size cover photograph; black spine and rear on stiff, treated paper. Track list on rear panel. Care information on inside cover. As with the album this release includes the mistake ‘In The Heart Of The Morning’; and the single versions of ‘Rubber Band’, ‘When I Live My Dream’ and ‘Love You Till Tuesday’. Space Oddity is the 3:45 version. 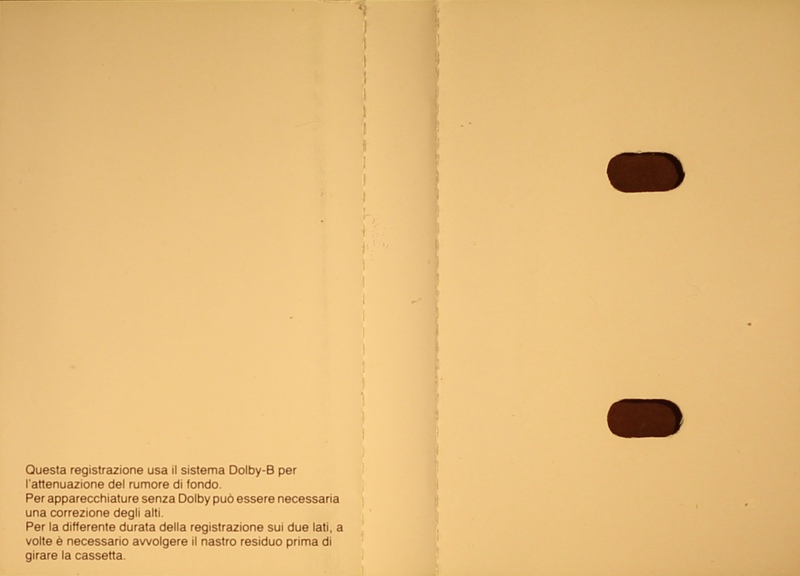 Black ink on blue custom paper label onto clear shell; Dolby and SGAE logo on label and information in Italian, marked ‘Non In Vendita’. 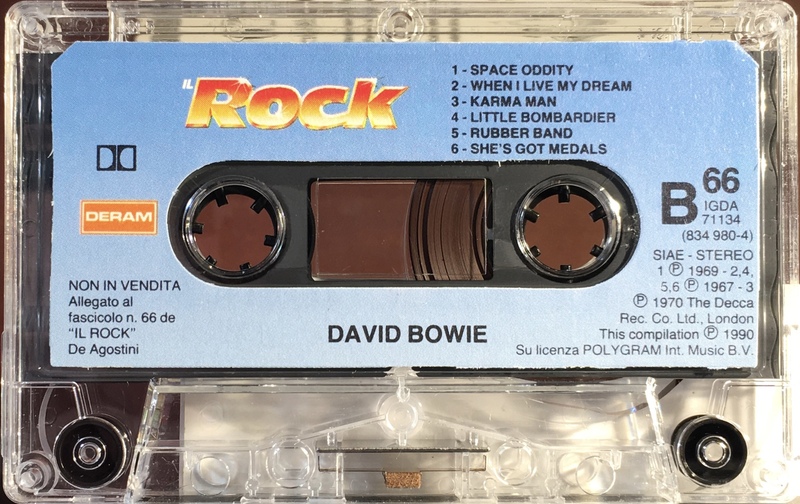 Side 2: Space Oddity; When I Live My dream; Karma Man; Little Bombardier; Rubber Band; She’s Got Medals.